If you have film property (including television shows), you need to apply for and receive a Canadian film or video production certificate (part A) and/or a Certificate of completion (part B) from the Canadian Audio-Visual Certifications Office of Canadian Heritage. Once your property has been certified, you’ll be able to write off the initial cost of investing in the film and any carrying charges you’ve paid for its production. Your certified film can be included in a new class of depreciable property in order to speed up your rebate. For example, a motion picture film (typically considered to be a property of class 10(q)) becomes property of class 12(n) after it’s been certified, making it a certified feature film, and can therefore be written off a little faster. Note: You might also need to complete the T691: Alternative minimum tax form. If you’re a member of a partnership, you might receive a T5013: Statement of partnership income for your film property. 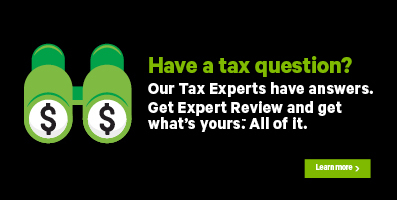 Be sure to enter the information from this slip on the T5013 page of H&R Block’s tax software. Are you a resident of Québec? For residents of Québec, the refundable Québec tax credit for film production services (QPSTC) is jointly administered by the Société de développement des entreprises culturelles (SODEC) and Revenu Québec. This tax credit applies to your production costs, like the cost of qualified labour and properties. You can claim up to 25% of the expenses you’ve paid as an eligible corporation for services provided in Québec. The expenses you’ve paid for computer-aided animation and special effects, such as shooting scenes in front of a chroma-key, increase the tax credit to an additional rate of 20% of the qualified labour costs of your film production. Under the OTHER INVESTMENT INCOME heading, select the checkbox labelled Certified film property (T691), then click Continue. When you arrive at the Certified film property page, enter your information into the tax software.